This week Hydroblast was contacted for our condenser cleaning services. 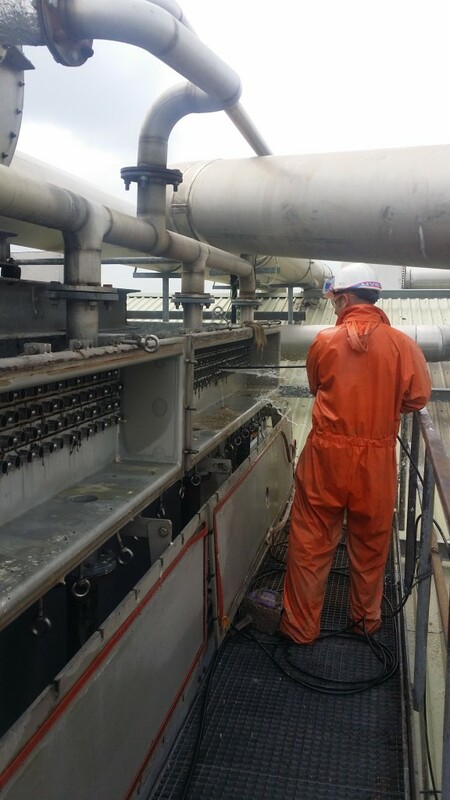 Our task was to use our high pressure cleaning machinery to clean Fin Fan Coolers at a processing plant. Our highly qualified and experienced operators carried out the task using a T30 / hot machine. When we arrive at any job the first step is to assess the are to find out the severity of cleaning required and which tolls would be best suited to the job. 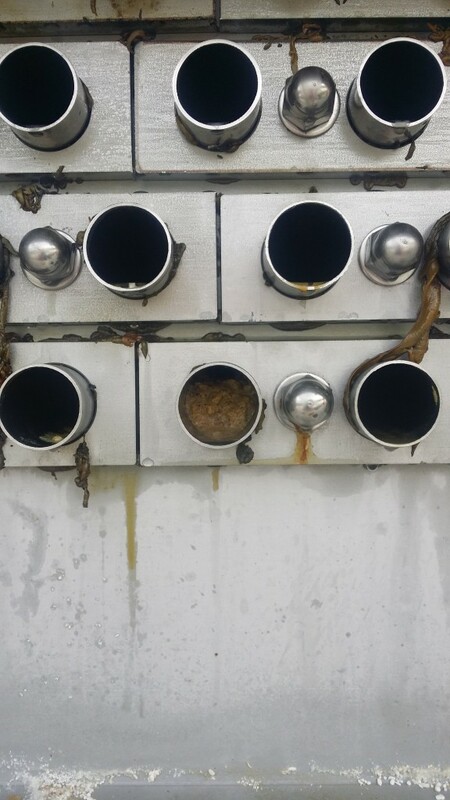 During assessment we found that the condenser was contaminate with fat and grease. Hot water is a fantastic ingredient which can easily remove build-ups such as these. It is common that for tasks such as condenser cleaning that we’ll need to use a range of equipment. For this job we were required to use a spinning nozzle and a flat fan jet nozzle. A spinning nozzle was used to clean the tubes inside and a flat fan jet nozzle was used to clean the tube faces and lids. After completing any task, we always aks for client feedback and on this occasion the feedback was more than positive. Overall the client was extremely happy with the results and even mentioned using Hydroblast in the future for regular plant maintenance.